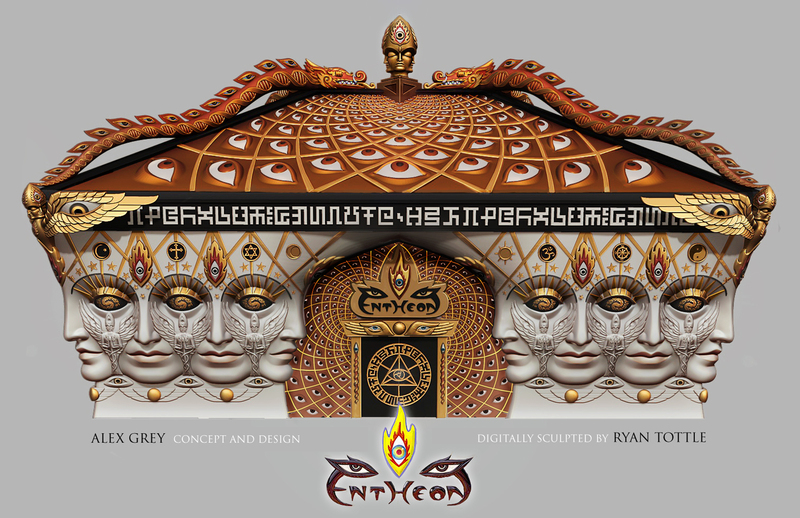 Structurally, Entheon is complete. The walls are up, the roof is on and insulated. Concrete floors embedded with heating coils have been laid. Rooms are framed with steel and the sprinkler system is installed. The ceiling and interior walls will be hung after the electrical and plumbing lines are inside those walls. Mechanicals rooms have been built to accommodate the internal workings of Entheon. The Almighty HVAC system, the costliest single investment, is in progress to manage temperature and humidity, critical to a 12,000 square foot, three-story exhibition of precious Visionary Art. Through an elaborate network of dampers and ducts, the energy recovery ventilators, now installed under the roof, will mix and return air from outside and inside. Entheon is a building transformation — from an 1882 carriage house into an inspiring art environment. Considering the mechanical needs in light of the aesthetics of the space has been a critical challenge. Brian James, CoSM Head Builder working closely with Alex & Allyson, architects, engineers and advisors, has designed the invisible weave of functional hardware to enhance the experience of art. Plumbing is being installed for bathrooms on every floor. 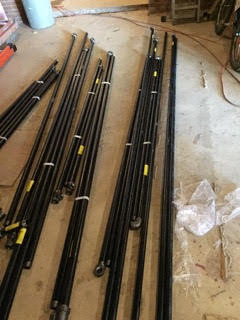 Thousands of feet of copper pipe, conduit, fittings, couplings, pumps and valves from every essential system are in progress, including a newly dug well and sewer. Fire suppression, alarms and security cameras are a part of the interconnected web that will protect art and offer hospitality to visitors and CoSMonauts. 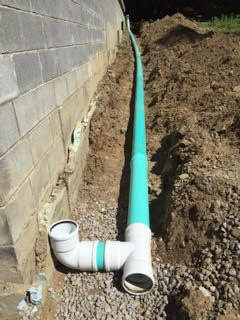 Necessary site work is in progress outside the building, including a vast network of trenches for underground water, electric, data, gas and sewer lines. Some trenches being dug are over 1800 feet long and 36″ wide. Power, water and gas lines are buried in sand, stone and soil so they are not impacted by rocks and water pressure. Underground lines connect inner HVAC mechanicals to a small mechanical building & chiller tower outside Entheon’s line of site. To transform this old carriage house into a public facility, CoSM internal roads must be widened for emergency vehicles. Drainage lines and culverts are now added. Site lighting in the parking lot and around the structure are mandatory. For a certificate of occupancy, CoSM builders must comply with the site plan and conditions of the Town of Wappinger Planning Board and all New York State regulations. We express gratitude to all of these angels that oversee the well-being of the community and encourage us to insure the most outstanding offering that may facilitate the greatest good. It’s been seven years since the COSM collection went into storage. We came here to bring the exhibit back to the community. With COSM’s good advisors and the prayers of our global community, two years ago we broke ground on Entheon, the first temple of Visionary Art at CoSM. As every phase of the build is completed, the remaining schedule of work grows smaller. The end of the second phase of the project is within site. Be a part of this great work by donating what you can to the realization of this vision. Then, prepare for a grand opening!